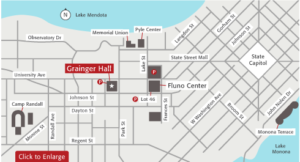 Pay-as-you-go parking is available (very limited in the morning after 8:00 am) in Grainger Hall (Lot 7) and a few nearby lots on a first-come, first-served basis. Please pull a ticket as you arrive, and visit the cashier station or pay-on-foot station to pay for your parking prior to exiting the lot. Lot 7 is below Grainger Hall with the entrance on Brooks St. between University Avenue and Johnson street. 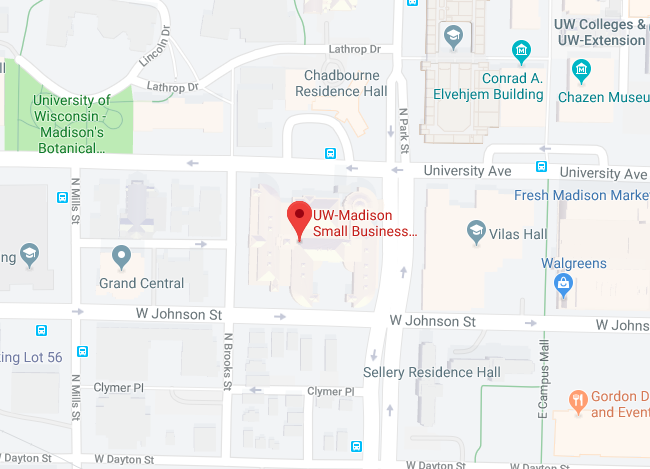 Other parking lots within walking distance to Grainger Hall are the Lake Street ramp, Francis St. ramp and the Lucky Building located on Lake Street. View available spaces by lot. Parking is available through Transportation Services if ordered 2 weeks prior to your class in Lot 7. Transportation Services Special Events occasionally manages Lot 7 during athletic games and other campus events. Please refer to their Events Calendar and check to see if Lot 7 is listed as an impacted lot. If so, Special Events will accept cash payments on the day of the event (permits range from $5-$15).